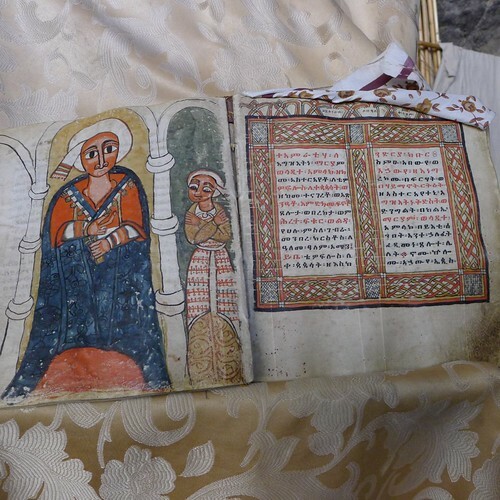 My Episcopal home church in Saratoga, California, is spare in design – with most of the color coming from huge stained glass windows by Mark Adams. 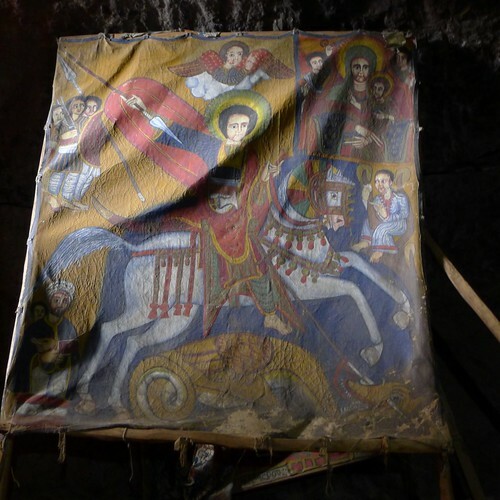 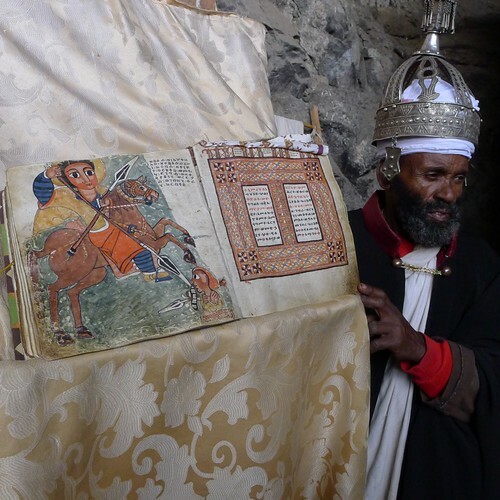 Visiting Ethiopian Orthodox churches and the Ethiopian Ethnological Museum last month presented me with the new world of brightly colored Ethiopian icons. 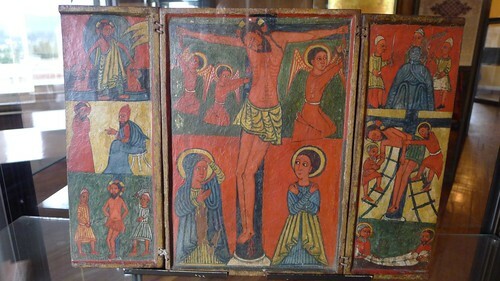 Some were new and others were ancient but the color palette, style, and topics were similar regardless of age. 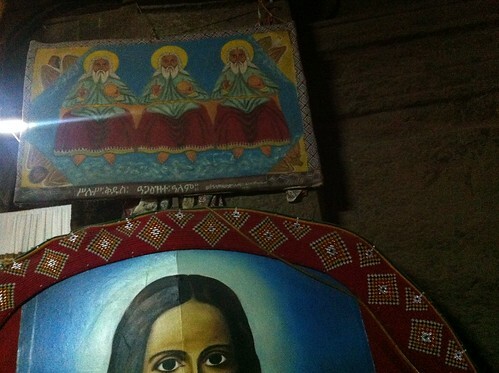 The icon topic that was very surprising to me was the Trinity (as seen in the last photo below). 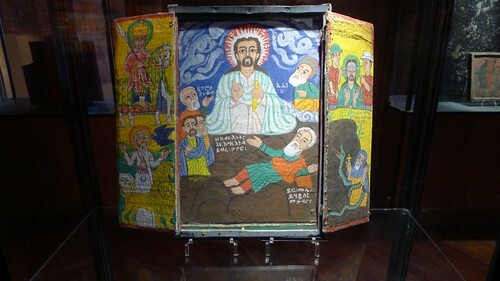 In my Protestant Christian faith tradition, Jesus is commonly represented in art but only rarely are God and the Holy Spirit shown, except symbolically (such as when the Holy Spirit is shown as a dove). 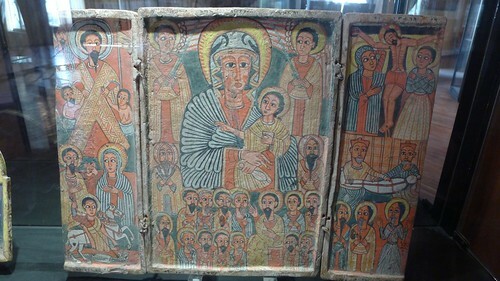 Ethiopian icons showing the Trinity as three mature, identical, kingly men with haloes sitting in a row were disturbing.